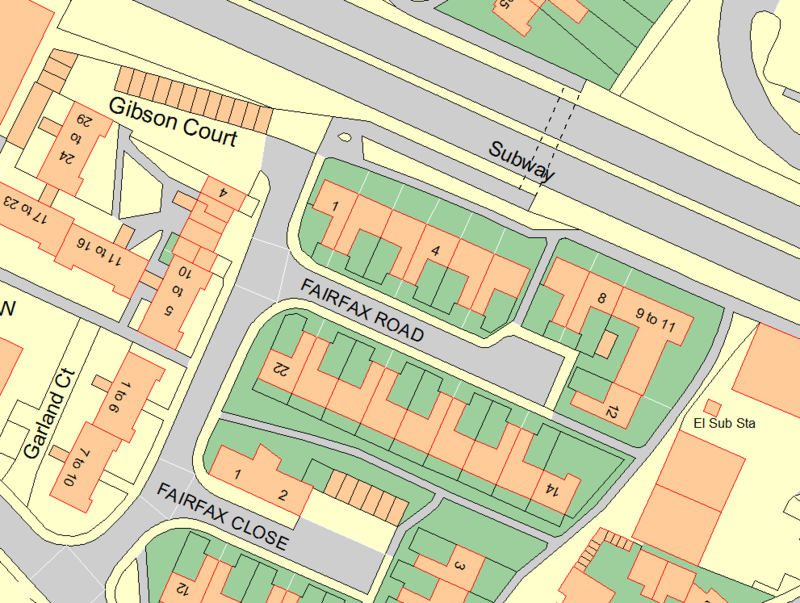 Our map preparation team can provide you with a range of maps. From bespoke, one off plans to yearly basic payment scheme maps, just ask! 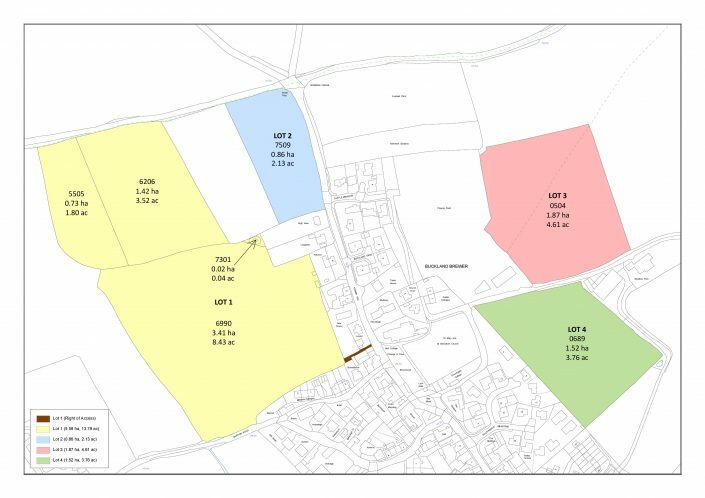 All we need from you is a simple outline of the area in question, be it a scan of an existing plan, a redline in Google Earth or a digital mapping file such as a shapefile. 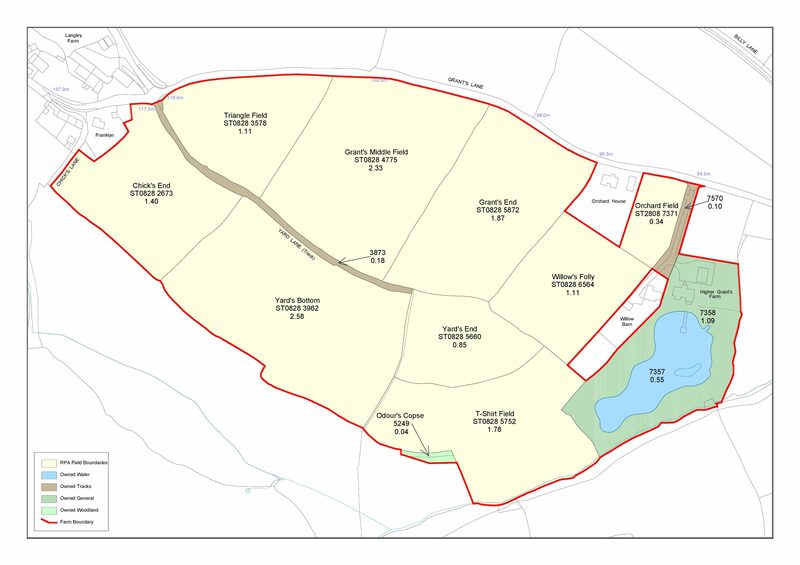 Pear Technology’s in house map preparation team are able to produce a wide range of maps to suit your requirements. This can range from the typical uses shown to the right or might entail more bespoke requirements. 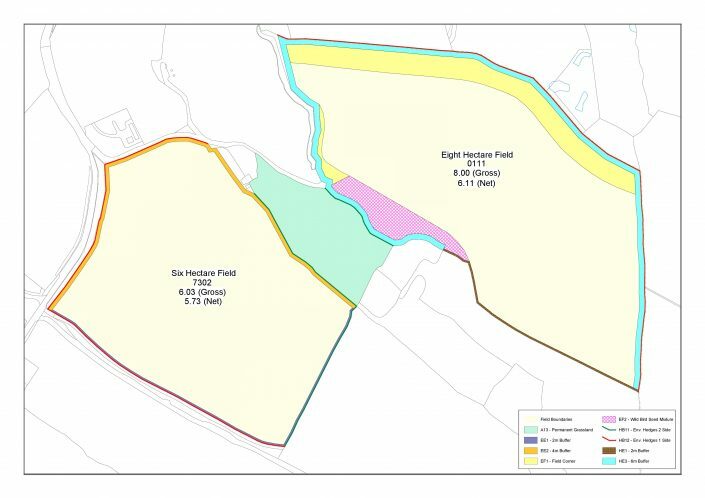 All we need is a plan from you to help us identify the land in question. 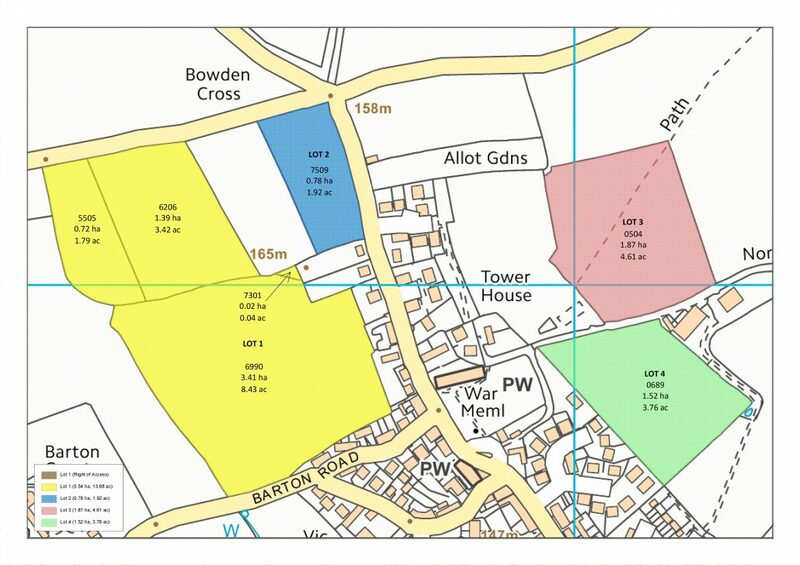 This can be emailed through to info@peartechnology.co.uk along with a description of what you would like mapping. A standard setup might include mapping a farm or estate boundary then splitting everything within this into land classification layers such as fields, woodland, tracks etc. Or you might like RPA boundaries, lots, tenancies etc. to be mapped. Today, maps are more important than ever. 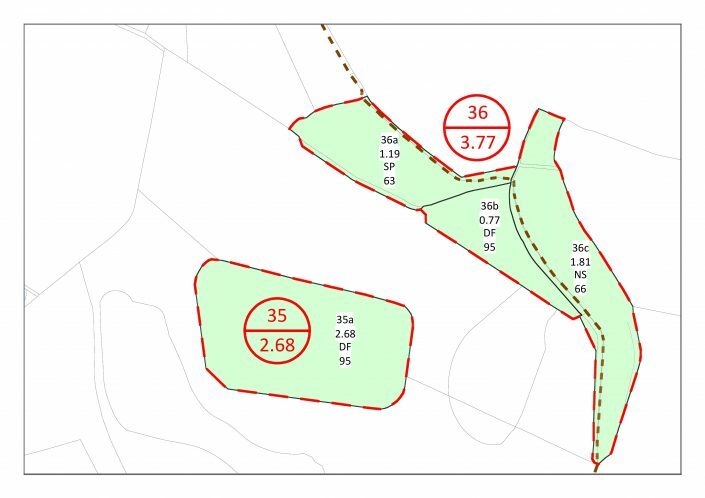 Government Agencies such as the Land Registry, RPA, Forestry Commission and more all require maps to accurately identify parcels of land. 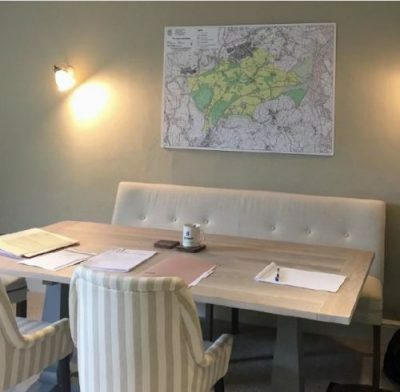 Using either our software or our in-house map preparation service, you are able to produce professional, compliant plans. 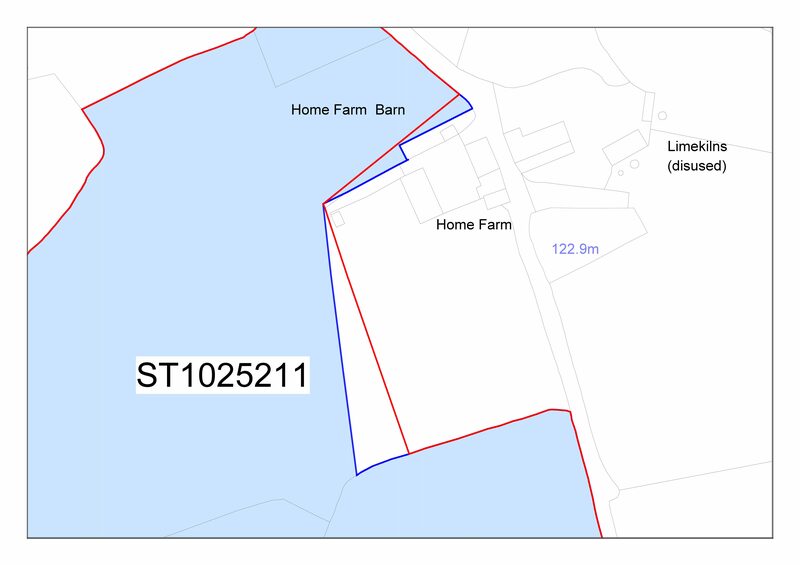 Not only are maps useful for official documentation, but for everyday management of farms and estates. Having a centralised system to record knowledge such as utilities, that might just be in one persons head, is an invaluable tool to have. With your permissions, we are able to extract your RPA Field Boundaries from your online RPA account, each with their full OS sheet reference and area label. This can then be imported directly into our mapping software. Please contact us for more information. Pear Technology are able to request Land Registry Title numbers in a digital mapping format. These are requested then simply imported into your map as individual titles, each with a title number identifier. 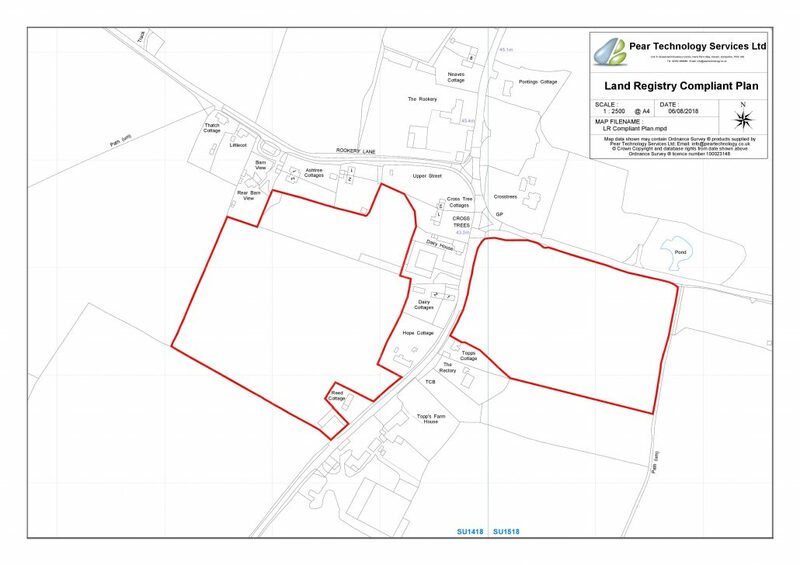 This immediately helps identify unregistered land and incorrect boundaries as seen in the image below (red estate boundary / blue LR Title). 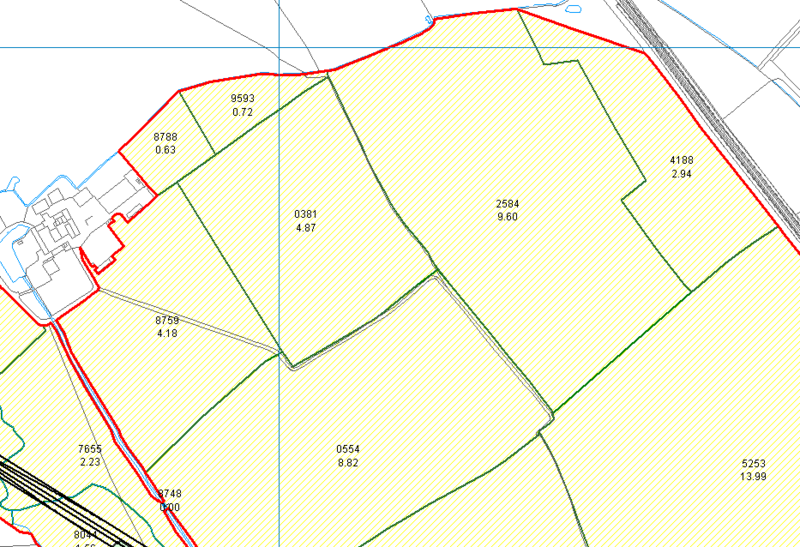 Government datasets including SSSI’s, Listed Buildings, Forestry Commission grants etc. can be added to your map as individual layers. More info here. Land Registry INSPIRE data shows you all the registered freehold titles for the area of MasterMap data you are purchasing. Each title is an individual polygon (area) on the map. This allows you to select and work with the data. INSPIRE data can be purchase through the MapShop. We can acquire PRoW data for most UK counties and overlay this as individual layers on your map. 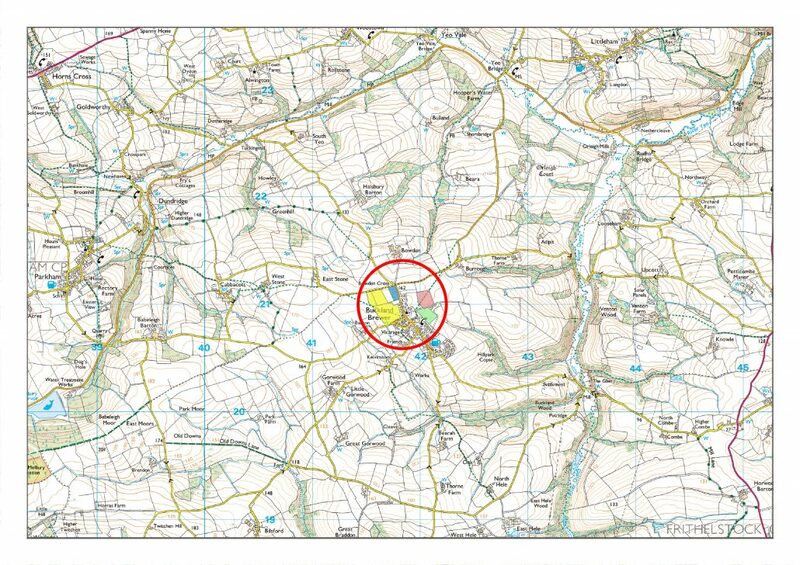 Our PT-Mapper software allows you to easily create plans by editing the Ordnance Survey data you have as a backdrop. 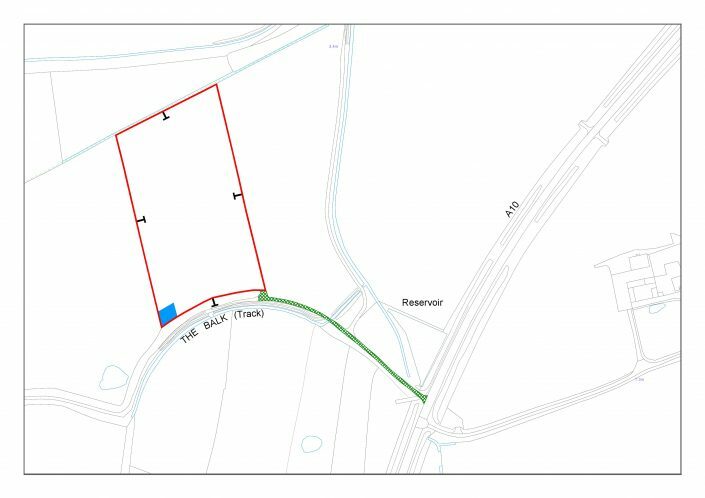 Simply shade or outline areas to customise your map. 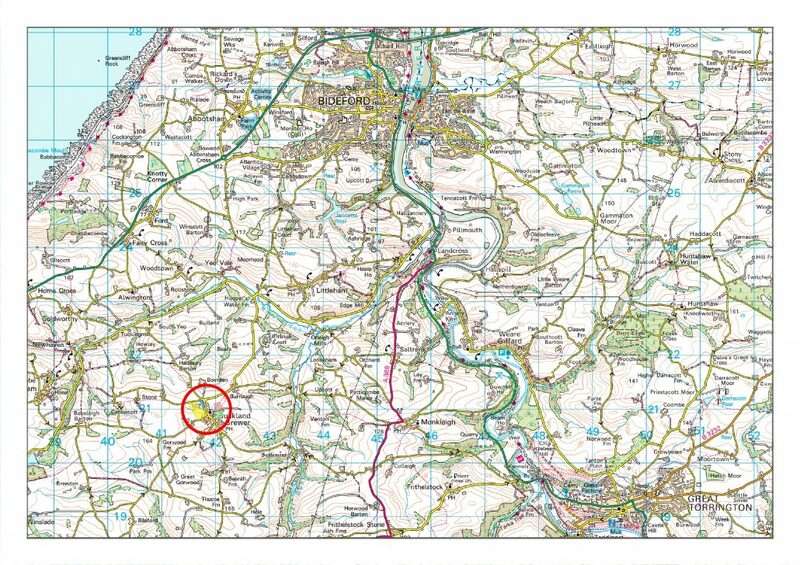 Our software is quick and easy to use, but if you are running short on time, please contact us to use our map preparation service. 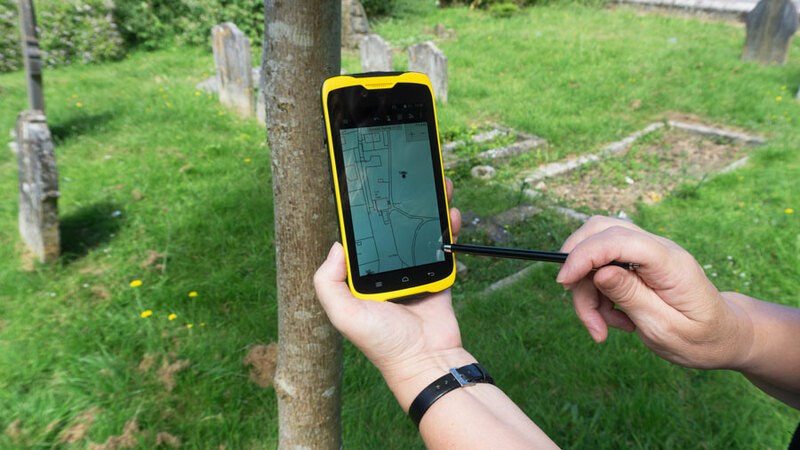 If you are happy creating plans yourself, the Pear Map Shop gives you instant access to the latest Ordnance Survey MasterMap and Vector Map Local data. 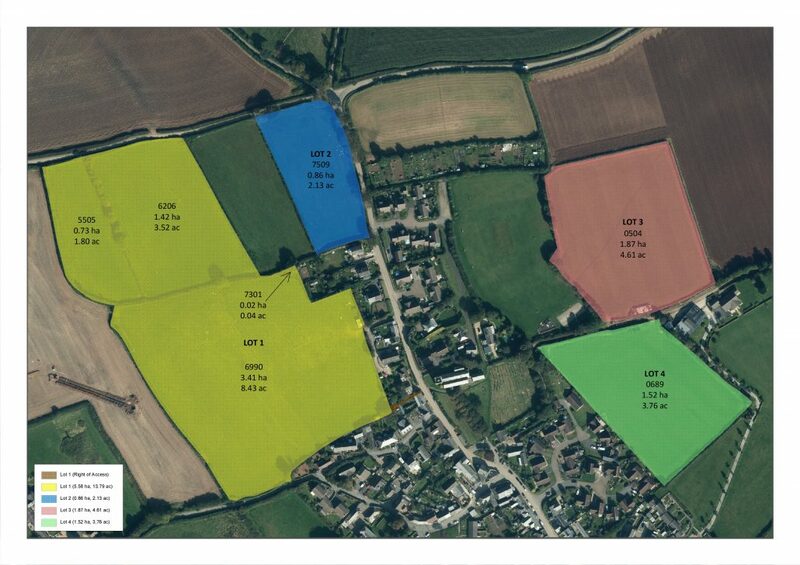 Simply draw the area of land you require, calculate an instant price and download directly into PT-Mapper once happy. To request access, please use the ‘Register Interest’ button on the Pear Map Shop page. We offer prints ranging from A4 up to A0 that can be posted in a rolled tube to protect your prints. We also offer whiteboard prints (as seen above) that are great for the office wall. They are also very practical for pre-shoot meetings for example, to explain and share the plan for the day. 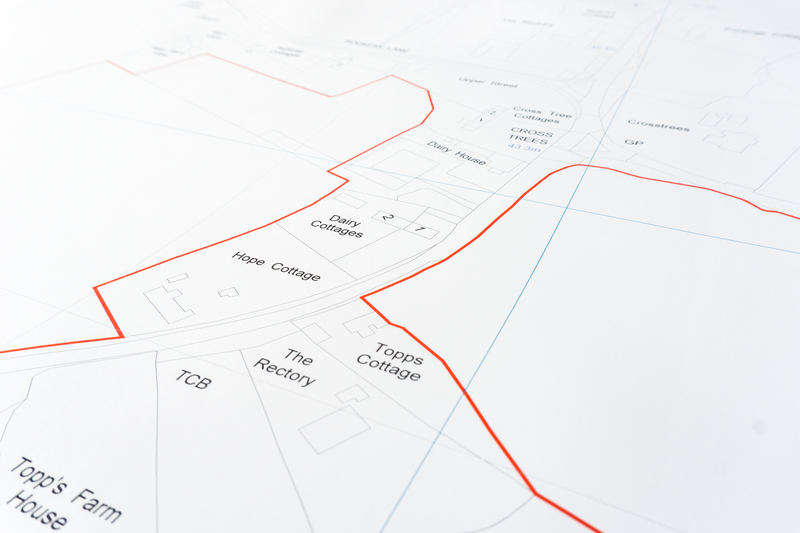 If you have an existing plan, email us a copy of your map and we can provide you with a quote. Otherwise please tell us what type of map you would like to be produced and printed. We offer a range of GPS devices for you to hire in order to capture information about your land. 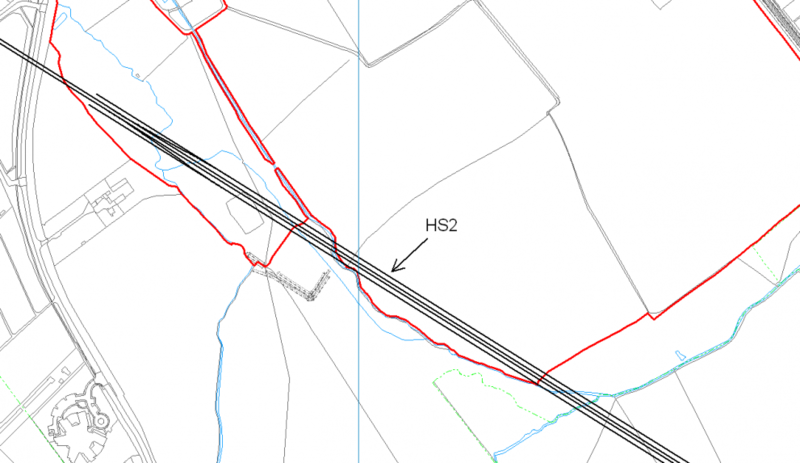 This might include new field boundaries, trees, utilities, fence posts, hedges, field margins, hydrants, drainage etc. The data is simply exported from the device and imported straight onto your map.